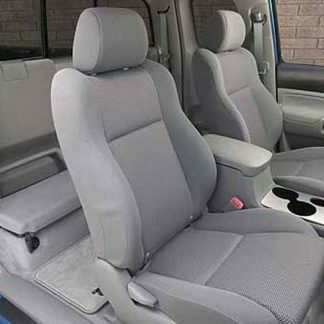 Equal sized bucket seats with adjustable headrests that fit into a slight depression on the seat tops, and a no passenger center console. 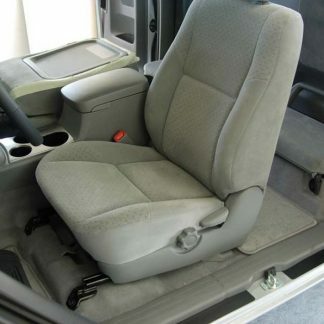 Complete set includes: Driver and Passenger Bottoms, 2 headrest covers. 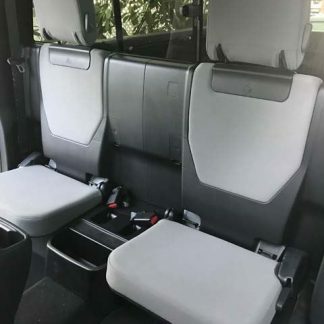 Small flip up seat bottoms, backrests are flat and fastened to the back of the cab. Fits: Tacoma Access Cab Rear. 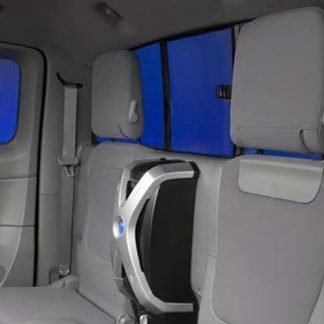 Complete set includes: Driver and Passenger Bottoms and Tops, 2 headrest covers, and console lid cover.